Twenty years after it opened for business online, Amazon.com is showing a meaner side that has become pretty obvious. The world’s largest online retailer delivers an enormous variety of products and services with impressive speed and reliability, and often at an inviting discount. It’s a conglomerate consumers say they admire. In other ways, though, Amazon has grown into a not especially friendly company that projects an air of arrogance and distance. “Even as Amazon pushes deeper into our lives, it’s getting more opaque,” Brad Stone, the country’s leading Amazon-watcher, wrote today at Bloomberg Businessweek. Amazon, to be sure, has been a remarkable success. It was an obscure, mid-1990s startup that seized on the potential and versatility of the early Web and, as Siva Vaidhyanathan noted a few years ago, demonstrated that the online world could be safe for commerce. In taking stock of Amazon at 20, it certainly is not churlish to point to the defects and haughtiness of a multibillion dollar multinational that can seem ubiquitous and ceaselessly ambitious, if not always profitable or immune to setback. Amazon certainly has shown that it isn’t above bullying publishers and authors. The New York Times reported today that “groups representing thousands of authors, agents and independent booksellers” have asked the U.S. Justice Department “to examine Amazon for antitrust violations.” The groups, the newspaper said, accuse Amazon of a variety of improper practices, including pricing books so low as to reduce competition even further. Amazon has been called bad for small businesses and even, as Foer wrote, bad for the economy. Reports from Europe also have told of high-stress working conditions at Amazon warehouses. Amazon hasn’t been the most philanthropic of corporate neighbors, either. The Seattle Times in 2012 characterized the company as “a virtual no-show in the civic life of Seattle,” the city of its founding and home to its headquarters. Amazon is run by its founder, Jeff Bezos, who in 1994 left a well-paying job at a New York investment firm and moved west with his wife to start the company. The often-recounted tale that Amazon, like Apple, had its beginnings in a garage is more myth than reality: It was, as Bezos has said, a converted work room in a rental house in suburban Seattle. But the tale of humble birth served to nourish a sense of Amazon’s grit and independence. In any case, Amazon had moved on from the rental property months before opening its online store, where it offered decidedly analog products — books. Amazon went live on July 16, 1995, and almost no one took note. 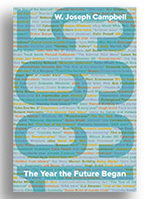 As I point out in my latest book, 1995: The Year the Future Began, such indifference somehow seems incongruous these days, “given the pervasiveness of Amazon in American life and culture.” By 1997, Amazon had gone public in an initial public offering of shares that made fortunes for Bezos, his wife, his parents, and others. Brad Stone injected some perspective into all that in 2013, in his fine book, The Everything Stone. 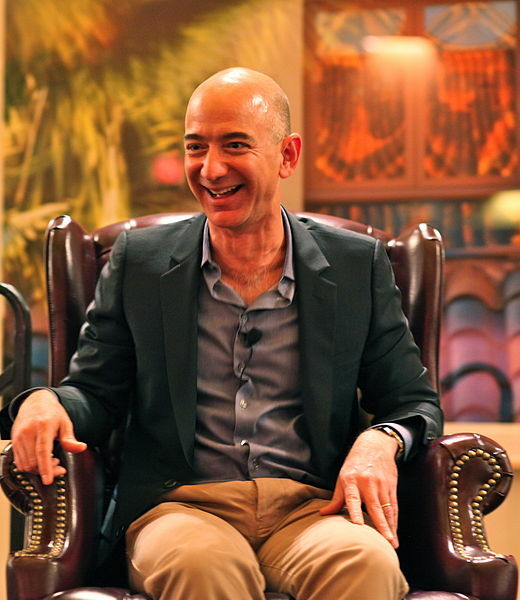 Stone wrote that Bezos can be a harsh and intimidating boss known to explode in “melodramatic temper tantrums that some Amazon employees called, privately, nutters. A colleague failing to meet Bezos’s exacting standards would predictably set off a nutter. The glowing coverage — which has been on display again in the runup to the 20th anniversary — is fairly remarkable given the standoffishness of Bezos and Amazon. Holding journalists in disdain and at a distance will not lose many likability contests. But Amazon has demonstrated it can be exceptionally dismissive of the news media — even after Bezos spent $250 million of his own money a couple of years ago to buy the declining Washington Post. On its 20th anniversary, Stone reports, “the company is doing and saying little to reporters. This entry was posted on July 14, 2015 by W. Joseph Campbell in 1990s, Amazon, Anniversaries, Early Web, Internet, Technology, Watershed year, World Wide Web and tagged 1995, Amazon.com, Bezos, Early Web, Internet, Washington Post, Watershed year.